30 Days of Minimalism - What Is Minimalism? Update: Blogger did an update during this time period and my blog posts scheduled on minimalism were inadvertently deleted. Unfortunately, I did not have them backed up - so at this time I am going to keep the original seven posts (that were not deleted) and leave it at that for the moment. I apologize for the confusion and want to reiterate the old lesson I should have been following: ALWAYS back up your work! 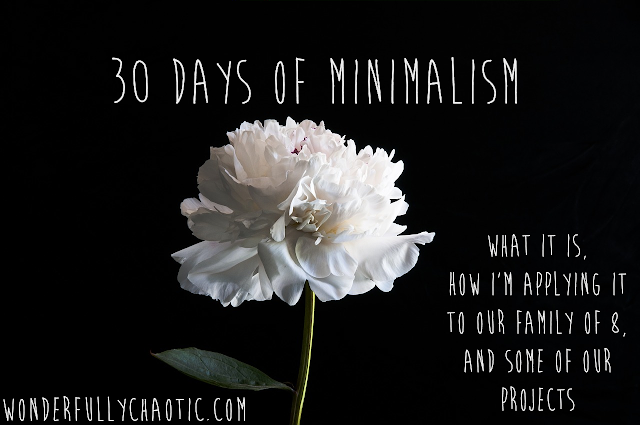 This November, I am going to be starting a series called "30 Days of Minimalism." I just recently discovered minimalism after watching a documentary with my husband and beginning to read some different minimalism-focused blogs. I've started embarking slowly into some different projects and in the upcoming blog posts, I'll share more about minimalism, what I've gotten from reading about it, how I am intending to apply it to our lives, and some of the projects I've been tackling - my clothes, the kids toys, our kitchen, etc. Day 1 - What is Minimalism? Minimalism as defined by Becoming Minimalist: "I am intentionally trying to live with only the things I really need. Minimalism is...marked by clarity, purpose, and intentionality. At its core, minimalism is the intentional promotion of the things we most value and the removal of everything that distracts us from it. It is a life that forces intentionality. And as a result, it forces improvements in almost all aspects of your life. Minimalism is the freedom from the passion to possess." We have a family of eight that has a lot of stuff. I've hoarded the children's clothing to pass along to the others so I now have multiple giant totes filled full of all sizes of clothing. The kids have mounds and mounds of toys, Our bookshelves are overflowing with books and DVDs and homeschool supplies. Our kitchen is full of dishes and appliances and bowls and baking dishes and things I hope to use...sometime. My own closet is busting at the seams with maternity clothes, regular clothes, "someday" clothes, church clothes, etc. For awhile now I've been feeling overwhelmed but just assumed that was the way it was for a "big family." Enter this article from Becoming Minimalist called Minimalism For Moms. This article was the catalyst for me. It spelled out exactly how I could apply minimalism to our lives, even with having multiple kids. 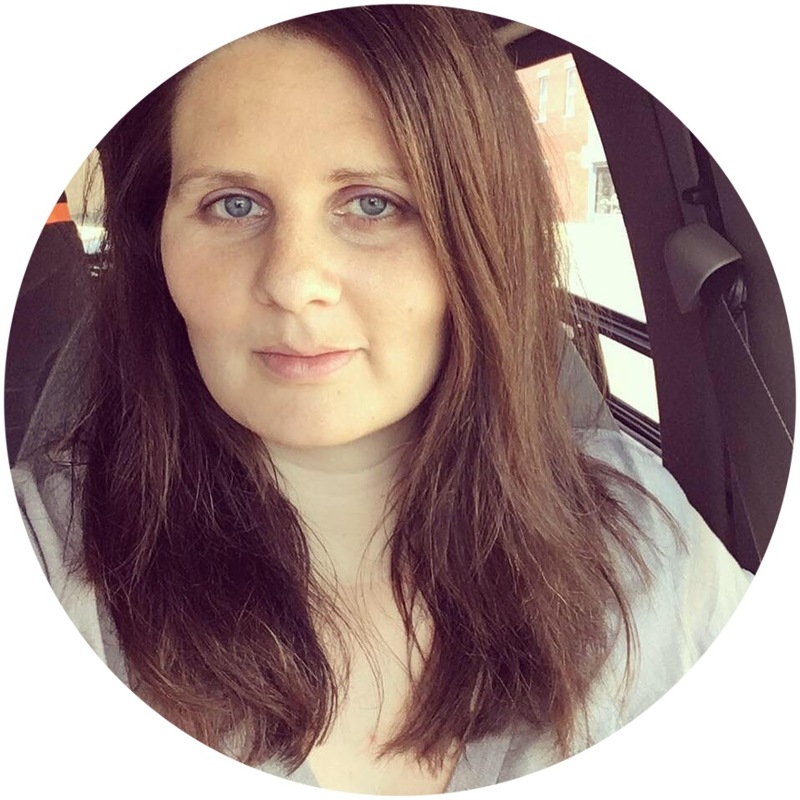 After reading that blog, I found Nourishing Minimalism's advice for overwhelmed moms which had countless stories about families with more than one child that made minimalism work for them. My minimalism journey will not look like anyone else's. It will be my own for my family. And finally, I read "Why You Shouldn't Wait for the Perfect Time or the Perfect House to Embrace Minimalism." It gave me the figurative kick in the pants I needed to get going: "When you pare down the physical items that surround you, it takes away the harried to-do list that tends to hang over your head. Instead of always having things to occupy you, your mind is able to focus and seek out what you truly desire to fill your life with. Don’t allow the term “minimalism” to deter you. It doesn’t mean your home is going to be stark white with 2 chairs and bare walls. Minimalism is not that you should own nothing. But that nothing should own you."